RecruiterConnect is the first software product for businesses ever built on top of Facebook. Finding the right candidates to fill open positions is a perennial recruiting problem. LinkedIn has solved some of that by creating a database of resumes, surfacing connections between people, and creating tools for recruiters to go hunting through the network. Now BranchOut (which we wrote about earlier this year) is going to do the same thing on top of Facebook. RecruiterConnect is a service that allows recruiters and hiring managers to search their network of connections on Facebook to find the people they’re looking for. One of the biggest advantages, CEO Rick Marini tells Fast Company, is that it will facilitate warm introductions. Tapping into Facebook will also potentially give recruiters access to a larger pool of candidates (LinkedIn has about 100 million users, whereas Facebook has 800 million members), as well as a wider range (LinkedIn mostly has white collar workers, whereas people from all cross-sections of society have accounts on Facebook). ecosystem has been dominated by games and other consumer products. RecruiterConnect, which has been tested by companies like Salesforce.com, Levi Strauss & Co., and VMware, is the first enterprise software product to be built on top of Facebook data. The size of the opportunity for BranchOut is huge. 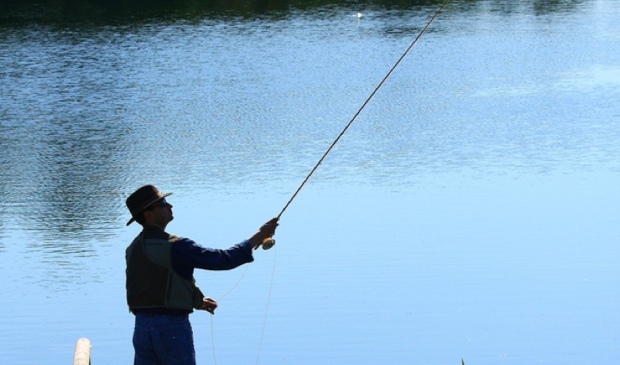 Recruiters are already spending about $300 million a year to go fishing on LinkedIn. Marini says he believes RecruiterConnect will ultimately be a complementary product to LinkedIn. While LinkedIn is a network people dive into for the express purpose of forming professional connections, Facebook is the digital version of the friend network many companies try to tap in the analog world when filling a position.